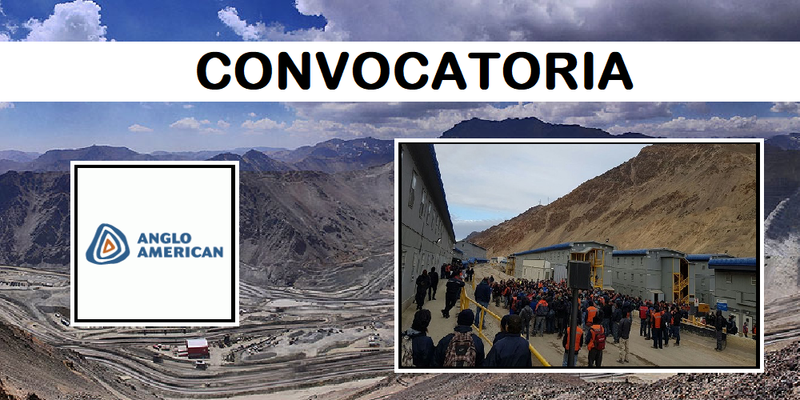 Vacantes para trabajar en Anglo American. Development of HR reports in the project area. Coordination in HR management in the areas of personnel selection, personnel management, trainingand development, performance management, talent management. Communication with the different areas of Project team. Support in the revision of contractual issues, expatriates, mobilizations and demobilizations. Support in the documentation of personnel movements documentation. Grado de Bachiller en Relaciones Industriales, Administración, Psicología o Ingeniería Industrial. Licenciatura en Negocios o en Recursos Humanos relacionada con la disciplina y/o equivalente de 15 a 20 años de experiencia en múltiples disciplinas de recursos humanos. Conocimientos y experiencia implementando herramientas de gestión de Recursos humanos. Advise and assist project and operations managers and their commercial teams in effective compliance with the business objectives for Quellaveco Project and corporate requirements from a commercial standpoint. Review material and warehouse management plans of Quellaveco Project from standpoint of staffing and monitor implementation of same to confirm proper resourcing (i.e., staffing quality and quantity) is provided for both EPCM Supply and Owner Supply to meet schedule and other project requirements. Advise and assist Quellaveco Project teams as needed to ensure an effective and efficient system (including intelligent numbering) is in place and used to identify and control/track all equipment and materials from engineering through procurement, delivery, receiving, warehousing, field issue, construction, commissioning and preliminary operations. Provide advice and directly assist the project team where appropriate on a comprehensive range of supply chain logistics (freight forwarding, import/export, port services, land transport etc.) and warehouse management (including development of plans and procedures for the acquisition and transfer of equipment, spare parts and inventories). Support and assist project and operations managers and their commercial teams in the strategy, plan and implementation of site logistics (receiving, environmental protection, inventory control and field issue) in alignment with Anglo American’s corporate supply chain requirements and construction ‘required at site’ dates. Assist with the commercial development, coaching and mentoring of material and warehouse management personnel on Quellaveco Project. Manage proper EPCM support in Field during execution. Al menos 8 años de experiencia en posiciones similares en empresas de gran envergadura. Experiencia en gestionar el cumplimiento de la gobernanza, políticas y requisitos normativos. Experiencia en identificación y control de riesgos sociales y situaciones de conflictividad social. Experiencia en relación con comunidades campesinas. Bachelor’s Degree in Computer Science, Information Systems, Industrial Engineering, Finance, Supply Chain or another related field.